When you hear the words “collaborative relationships,” what does it make you think about? To many of you, the term may seem redundant. After all, aren’t all relationships collaborative? OneDesk was built to strengthen collaborative relationships. Prior to designing the software, our team had to understand its true meaning in order to ensure the software will aid in that area. Here are some insights as to what collaborative relationships really mean, as well as some tips on building stronger ones. Collaborative relationships occur when two or more people work together in order to accomplish common goals. 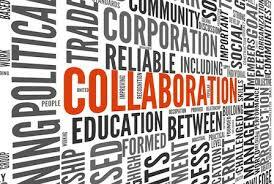 Collaboration has become a preferred solution to working with different individuals who have different point of views. Thus, collaboration is a complex process that sometimes forces people to learn to listen and communicate with each other in ways that they would normally wouldn’t. In the workplace, when things a get a bit chaotic, forming collaborative relationships is the key to working around complexities. Collectively agreeing, or in some cases, disagreeing on a certain process can make work much more satisfying. So what does it take to build collaborative relationships in the workplace? Collaboration is about taking the other person’s needs into account. The more you are willing to listen to other people, the more you will be able to understand their positions and be able to offer plausible insights, ideas and solutions. Clarity is also very important – ensure that all other team members understand what you are trying to communicate to them by encouraging them to ask questions and start conversations. The difference between communication and collaboration is that collaboration is always two way. In a way, collaboration requires that certain communication skills and techniques be refined in order to create dialogue instead of debates. Offer your input, but be sure to encourage your teammates to give theirs as well. In other words, constant communication with all stakeholders allows everyone to be on the same page at all times. This can simply be done by sending out a quick email updating everyone on the project, or by using a collaborative tool that automatically allows the entire team to be notified of project progress. Develop a focus that is customer-oriented, rather than company-centered. This allows you to build a collaborative relationship with customers. By doing this, you are giving your customers a chance to co-create with your organization, hence driving up your company’s position in the marketplace.